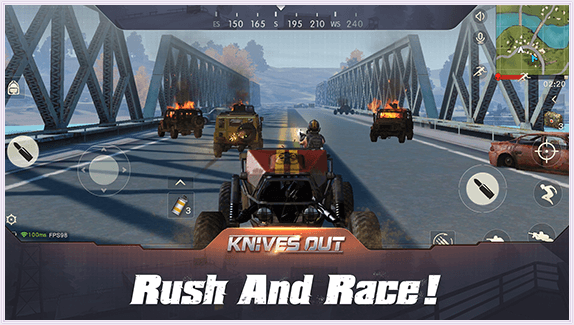 Looking for alternatives to PUBG games you can play on your Android smartphone? This article lists the top 5 games which have a similar gameplay as PUBG and offers you an alternative to the famous free world game. PlayerUnknown's Battlegrounds (PUBG) gained very high popularity within its first year of launch. The game is a multiplayer battleground, one who survives until the end is the winner. The game is highly challenging and is completely fun to play. You have to kill other players at the same time defend yourself to survive. The game was released in 2017 for Windows and later different versions were available for Android, iOS and Xbox at the start of 2018. If you are the one who loves to explore the different battlegrounds and look forward to more games like PUBG on your Android smartphones to browse in your free time please follow the list of games described below. 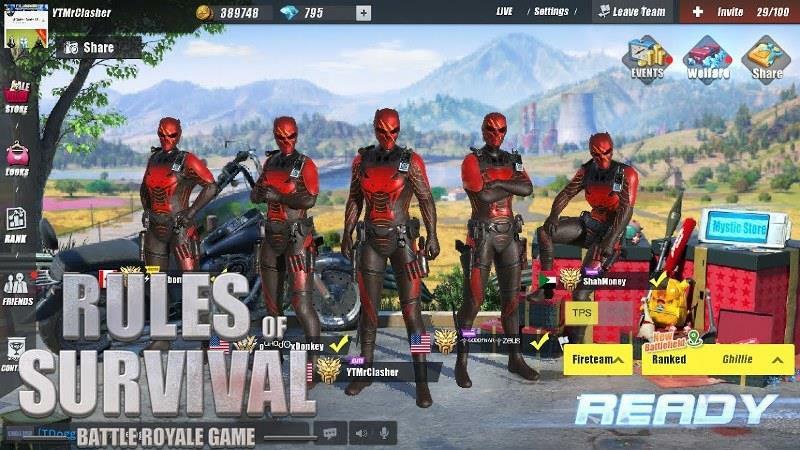 Rules of Survival is an online battle royal game. It is a multiplayer game that is developed by NetEase Games in June 2018. The game is officially available for different platforms like Windows, Android and iOS. There are different ways in which you can enter the game that is a single, duo, Squad (four players) or a fireteam (five players). To win the game you should be the last survivor in the match. Either solo or team, the rules remain the same for one and all. The game offers different modes with different attractions at different stages. The gold mode offers a player to win gold at the win and diamond mode enables the player to win with diamonds. The game is a good alternative to PUBG with amazing features. High graphic quality with HD visuals. Challenging battlegrounds and hunt for new weapons. Low space acquisition on your phone. Along with your guidance chat with your voice chat options you can connect with friends for fun. It is a yet another option to go with for PUBG lovers. To have PUBG in your phone your phone must have a powerful processor and also minimum 2 GB of RAM. If your phone doesn't have the required capabilities you can switch to Pixel's Battlegrounds. The game rules at the battleground are similar to another battleground games that is you have to survive till the end while killing the other players. The game is supported with high visual quality along with attractive graphics. 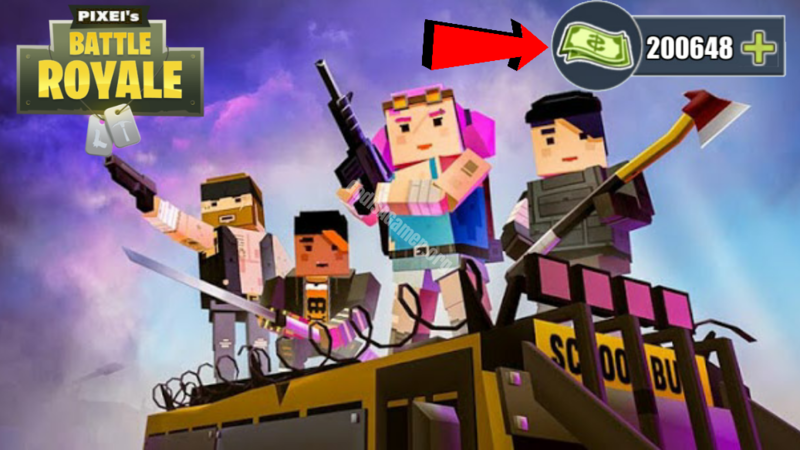 To customize the skin of the game like in that of 3D block city survival games. The graphics are full HD but you are given an option to change the settings in case your phone is weak to stand through those graphics settings. Complete military weapons including sniper guns, miniguns, pixel guns, pistols, AK etc. It is fun to play the game with all sorts of automotive includes. You can see battle cars, combat cars and even tank. The game has an inbuilt map to help you in playing the game and survive. The game controls are highly intuitive and you can play with ease with pixel shooter. It is all over a nice experience and enjoyable battleground. You can never be bored of it. If you compare it with PUBG in terms of playing you can never sense a difference but it attracts you all the more when it is about the beautiful locations as the battlegrounds. You get to explore the snow mountains, train tunnels, beautiful islands and many more. You can play with your team duo, squad or fireteam mode and can coordinate with your team using voice chat option. You can make your own rules to play the game. You can directly attack them or kill them being at a distance it is completely your decision the only thing to keep in mind is survival. One who survives is the ultimate winner. If you play in the team, make sure that your complete team survives. The upgraded version comes up with all the more advanced options and upgraded graphics. The game is exclusively available only for Android users. The game is compatible with Android 4 plus. The game is all the way challenging playing with your team and gives you a sense of belongingness to work as a team. You can never get bored of the game due to its attractive and varied battlegrounds. 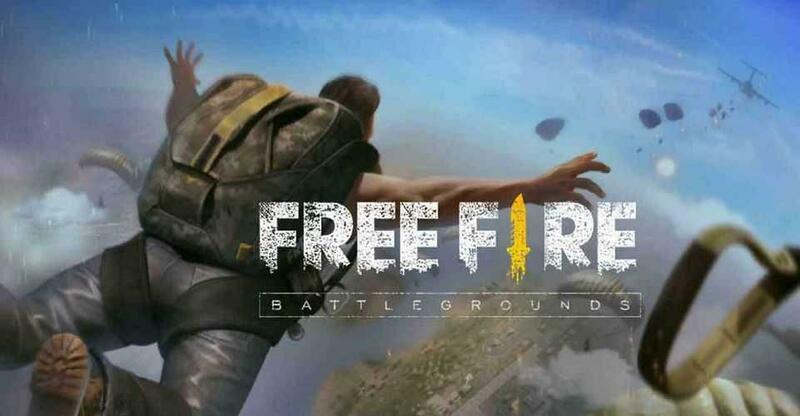 The Garena Free Fire is highly popular in the action game category. It is the most preferred choice in the style of survival games. Once you enter the game you cannot stop you just have to move on either keep shooting or you will end up getting shot. The Garena Free Fire gives you a similar experience to that of PUBG but with far fewer storage requirements. You can easily enjoy it on all the Android phones even with less space. Easy gameplay options and connects you with different users to add up the spice in the game. Has a highly challenging atmosphere. High definition visuals and top-rated graphics. The game is beautifully supported with air strikes and air attack options along with shooting. You can explore the entire area and search for new weapons to be the ultimate survivor. Vast Survival is the newest launch and an incomparable game in the series of multiplayer survival games. You can enjoy all the features like building, crafting, voice chat, hunting, adventure and all that you desire in an action adventure game. 100 km of the open world for playing the exciting games. Military gears to give you a complete feel of battle arena and desire to win. Play with your team and connect over voice instructions through voice chat options. Is provided with regular updates and frequent bugs fixation. You can even hunt different animals along with many more fun elements. You can build your own base to fight and your own strategy to win without blindly following any predefined set of instructions. It supports even cross platforms. You can even play with the players on iOS operating systems. The article clear details about the most happening choices of games for your Android smartphones in place of PUBG. You can go through the details of different games and enjoy playing the survival style games.